My mantra is to celebrate creativity. My husband, Michael, finds his creativity in his expansive garden. It’s time to share one of my favorite things he has grown this year. I asked him to find me a great spicy, but not hot, radish and so he did! 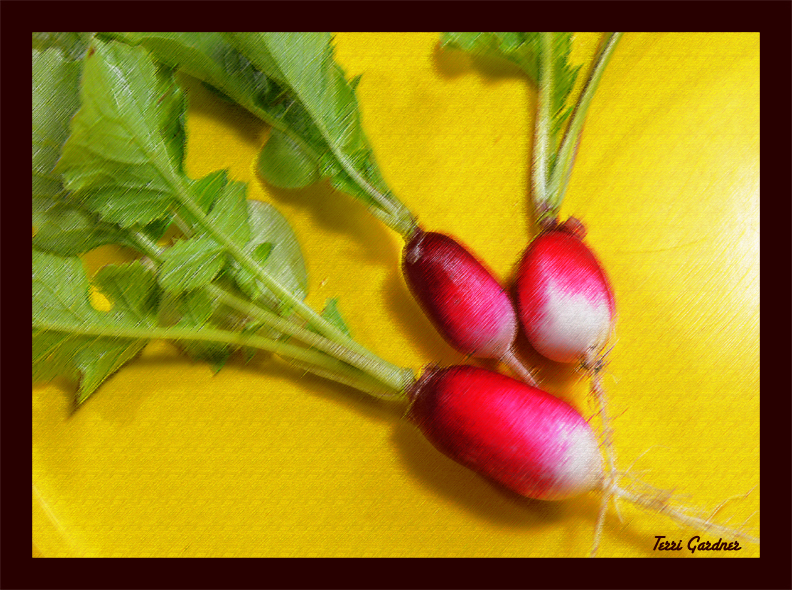 He grew the French Breakfast Radish and I love it! I have chopped these up and served them as a condiment with our scrambled eggs in the morning. One evening, I even sliced them and threw them into a tofu stir fry and they were delicious. I’ve read that enthusiasts even spread butter and salt on them, but I haven’t tried that yet. They are a wonderful bright pink and white with bright green foliage. We have read that the leafy part is very good for you also. 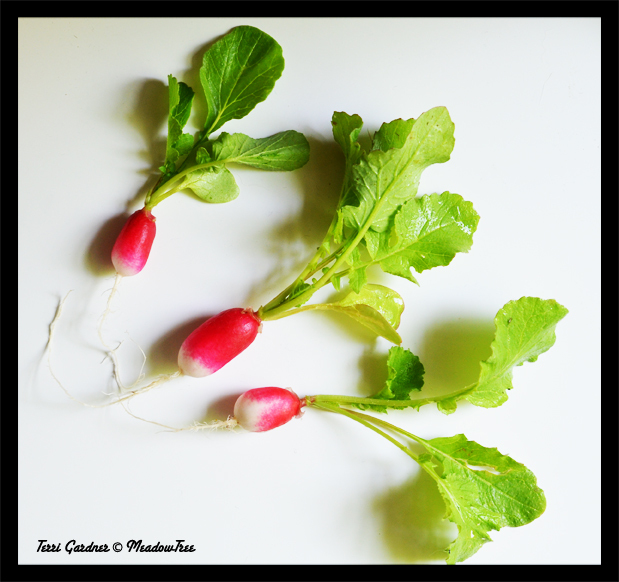 French Breakfast Radishes grow very quickly. Pick them small because if they grow to big they become hollow in the center. Having the hollow makes me wonder what they would taste like with a little creme cheese in the center? Seeds for the French Breakfast can probably be found at the local home store, such as Home Depot or Lowes. Michael usually orders his. His favorite online seed suppliers are Johnny‘s Selected Seeds and Pinetree if you would like to check them out. Happy gardening and creative eating. I will see you Sunday with my regular style post.